Need more information about booking Home 8637779 ? The landlord Divine Comedy is a recently refurbished building. Treated in detail. 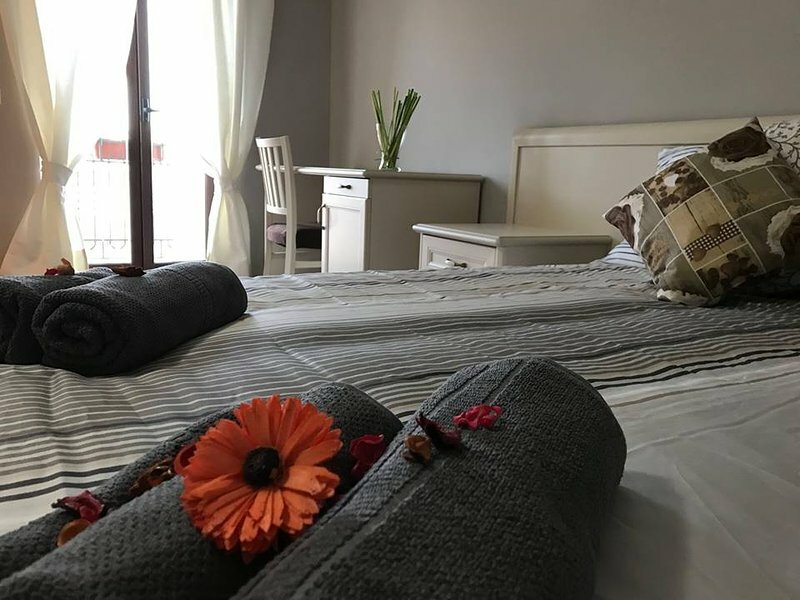 The property is located in the heart of the Cilento National Park, not far from the hiking trails of the mountains and Cervati Gelbison and not far from the Cilento Coast. Our facility is located in an ancient village, Vetrale Plan, in the municipality of Orria, famous for being the birthplace of Paolo de Matteis, famous painter of the 600 Neapolitan school. For this reason the village of Vetrale Plan is a land of art, of facts is defined COUNTRY OF MURALS. The entire village is characterized by murals, which make it a work of art in the open. LA hotel offers all the comforts: air conditioning, balcony, private bathroom, minibar, parking, breakfast served in the hotel's bar, LCD TV 28 ''. The landlord The Divine Comedy is ideal for families and couples looking for tranquility and the discovery of Cilento, between history and myth; here comes the idea of ​​the Divine Comedy, to think that even the great poet Dante, walking among the most remote villages in the Cilento region he is in love. You can get in touch with Dante Emanuele (the owner) through the contact form on this page. Send Dante Emanuele (the owner) an email through the contact form on this page. Alternatively, if there’s a phone number on this page, you can call them. How do I contact Dante Emanuele (the owner)? If you’ve already booked, go to Manage your holiday booking to view Dante Emanuele the owner's contact details or send them a message. Or send Dante Emanuele (the owner) an enquiry through the Contact the owner/manager form if you’d like a quote or more info first. When you pay online through the Book your stay form, a booking request is sent to Dante Emanuele (the owner). You’ll find out within 24 hours whether they’ve accepted - no money will leave your account before then. You can also request a quote from Dante Emanuele (the owner) through the contact form. The owner will email you the total cost for your dates and a link to book and pay online. Use the Book your stay form to pay provisionally online. You can pay by credit/debit card or PayPal. Dante Emanuele (the owner) will have 24 hours to accept the booking and no money will leave your account before then. Why can't I call Dante Emanuele (the owner) before booking? You’ll need to contact Dante Emanuele (the owner) to do this. Send them a message in Manage your holiday booking or through the contact form on this page. You can request to change the dates or number of people on your booking via the Manage your holiday booking page. To change your holiday dates use the Edit booking button. If you need to change the number of guests staying then send Dante Emanuele (the owner) a message. If Dante Emanuele (the owner) agrees, they’ll send you a revised quote outlining the changes. You can review and accept/decline this from the Manage your holiday booking page. You’ll have 48 hours to take action before the revised quote expires.